We provide various services to outfit your residential or commercial property. From grading and installing mulch products, to trimming bushes and weeding beds, there isn't a task too big or small that we are not willing to tackle. Mulch serves as a weed barrier and moisture enhancer. Even with a manicured lawn and groomed shrubs, outdated mulch can offset the overall exterior presence. 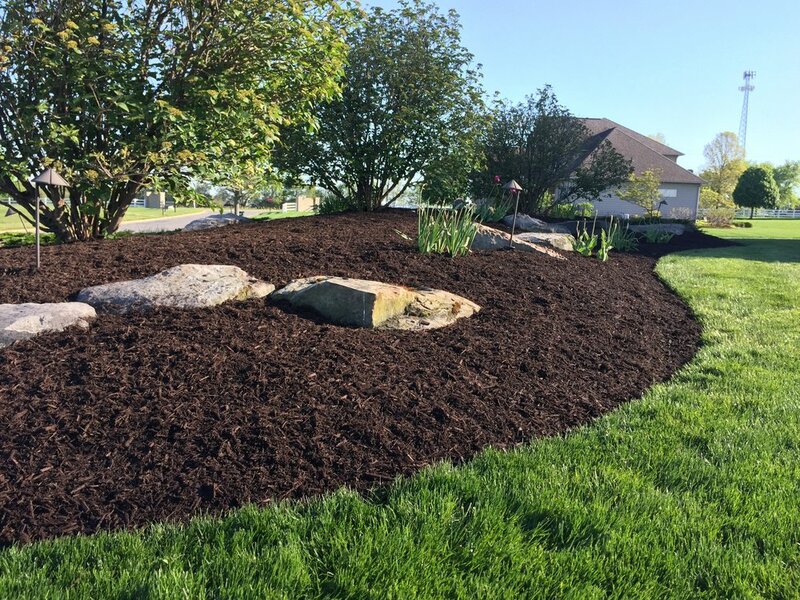 We provide up to 11 different types of mulch to customize your property and give it that curb appeal that will have all your neighbors talking! If that's not enough, we also have a variety of rock options as well. Keeping bushes trimmed seasonally can render a perception of cleanliness and organization around your property in addition to keeping mulch products updated. This also will help you to keep control and keep them off of any structure such as your home as well as growing into other trees or bushes that are local. We recommend touching up your bushes at least every other month during the spring, summer and fall.